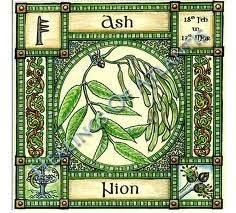 The ash tree is a much loved part of the British landscape and is a feature of much folklore. Yggdrasill the world tree of Norse cosmology was an ash and was seen to connect us to the Otherworld. It is not just bat workers who have been greatly saddened by the news that Ash die back disease in widespread in the Country . Ash is an important habitat for many creatures including bats and if there is widespread removal of infected trees, this will have a catastrophic effect on wildlife. The Bat Conservation Trust is working very closely with The Forestry Commission to develop an appropriate policy to deal with this out break. Ash trees make an important contribution to biodiversity and wildlife habitat and this includes use by bats for roosting where suitable opportunities arise. The recent confirmation of dieback in ash trees (Fraxinus excelsior) has implications for bats and UK biodiversity from the loss of trees to the disease and potentially from the measures put in place to limit the disease spread. BCT is working with the Forestry Commission to assess the situation as is it develops and put protocols and procedures in place that ensure that whilst carrying out the vital work to control the spread of the disease, that bats are protected. 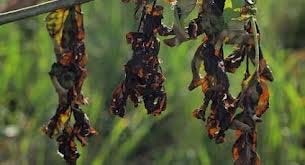 The disease caused by the fungus Chalara fraxinea causes leaf loss and crown dieback in affected trees, and it can lead to tree death. It is a significant threat to one of our widespread native trees. Ash is the third most common broadleaf native tree species in Great Britain after oak and birch and is the predominant tree species in approximately 129,000 hectares of woodland in Britain. The fungus has caused widespread damage to ash tree populations in continental Europe and has the potential to kill millions of ash trees if it becomes widely established in Great Britain. The spread of this disease would pose a serious threat to associated biodiversity, including bats, and measures to prevent its spread are imperative. However, the potential for large-scale destruction of mature ash trees has raised concerns about the impact on roosting bats. 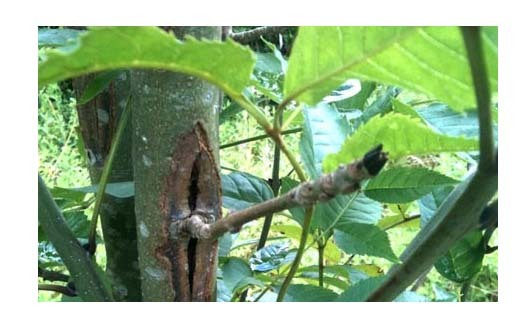 The reported 50,000 trees already destroyed were all young transplants and nursery stock that were known or likely to be infected with C. fraxinea. Bats roost in mature ash trees and to date no mature trees were included in the destruction measures. Immediate work is focusing on identifying the locations where this disease is present. Currently this is largely restricted to Norfolk and Suffolk. If the disease is found a containment notice will be issued to prevent plant material being moved off site. Whether further containment action is required, such as tree felling, will be determined once the extent of disease after the initial survey work has been determined. The fungus does not produce spores at this time of year so immediate action is not required. If it is decided that some felling action is required then a destruction notice will be placed on the site. In the interim time the Forestry Commission and BCT will work closely together to produces a protocol that will i) Control the spread of the disease and (ii) Protect bats. The fungal spores are spread by the wind. There is no evidence of transmission by humans or animals. This entry was posted in Uncategorized and tagged ash dieback disease, Bat Conservation Trust, DEFRA. Bookmark the permalink.